Preheat oven to 180°C/160°C fan-forced. Spread the cut-side of each hot-cross bun with Nutella. Place bun bases onto a baking tray lined with baking paper. Top each bun base with 4 marshmallows. Cover with bun tops. Gently press to sandwich together. Bake for 5-6 minutes or until marshmallows melt. 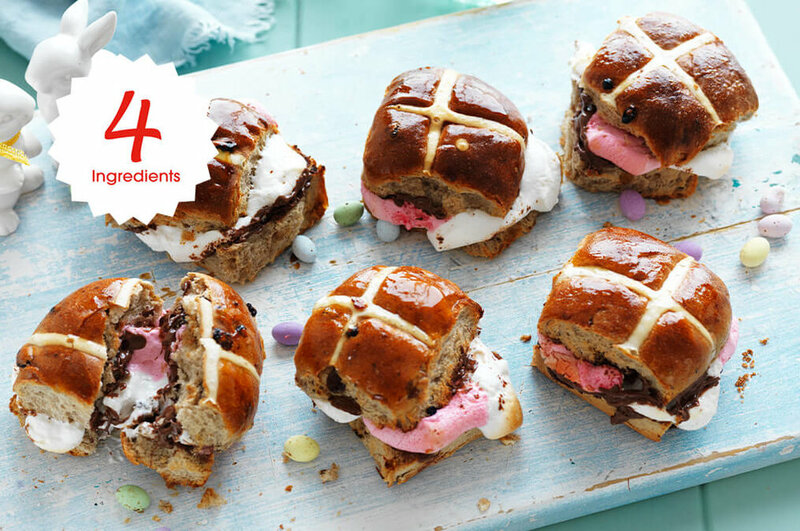 Brush hot-cross bun tops with caramel sauce to glaze and serve immediately. Enjoy straight away to experience the melted, gooey goodness inside!